This piece is inspired by the artwork above, a parody of the famous Norman Rockwell triple self-portrait. This satire, like the original, speaks to the glamorized self we see in the mirror, demolishing and lightly mocking (respectively) their subjects. The depictions are not truth. They are the stories that people share in order to maintain illusions. And, like all stories, they are dependent on audiences in order to maintain their meaning. Note first, however, that I am not a politician or a social scientist. Thus, any commentary on the mechanical issues that are devastating our society—namely, a failing educational system, a prison-industrial complex that favors punishment over rehabilitation, and a drug war that overwhelmingly castigates the poorest and most vulnerable citizens—would be purely opinion based. Get enough liquor in me and I’ll share them with you. All the political commentary you can stand! That being said, I am a narrative designer who has come to specialize in demographic analysis and story-sharing. I’ve worked with organizations, universities, and nations to help build narratives to embolden people and change lives. I’ve seen how people intertwine their personal stories with those of a larger group, for good and ill effects, as well as how to make sure this remains a conversation without turning into propaganda (more on this in a second, I promise). I’ve worked with people who have had their tongues torn out because they spoke the wrong words to the wrong people. It is the lessons I learned from them that embolden me to say that we can assuredly beat the Narrative of the Nazi. If we can couple that with the physical means to make sure that Nazis can’t gain a new foothold, we can make that ideology so untenable that all but the barest few crazies remain, so few that they cannot make any meaningful change to the world. 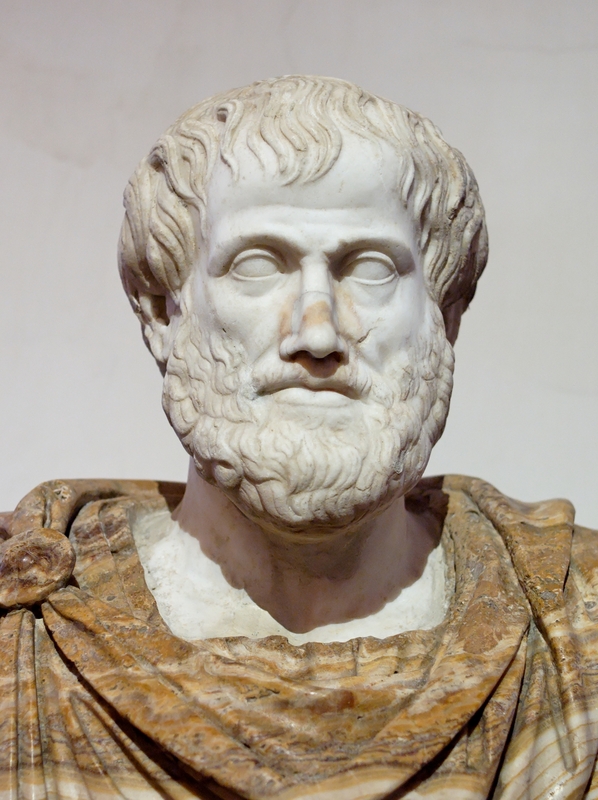 Aristotle believed in alchemy, geocentrism, and flies having four legs, but he had it nailed with the human condition. If you’ve ever been to a movie or a show on Broadway, you know what I’m talking about with the title: people’s seeming inability to turn off their phones for two-to-three hours while they take in a bit of Kylo Ren or Mufasa. For the most part, these are tiny indiscretions: a few blips, a mild (or moderate) expletive, a couple seconds of fumbling, and then blissful silence just as Alexander Hamilton is about to lay down a few choice rhymes regarding fiat currency. At other times, Emma Stone and Ryan Gosling’s journey in (and out) of love seems to be set to the tune of a “Kim Possible” ringtone. We rejoin our narrative after two previous installments for this penultimate episode, in which we discuss my show, Queens of the Sapphire Sea, and how it went from nothing to something. And it only took five years! Things came to a head last summer after a reading of radio shows between myself, Tyrant Rex, and Adam Lance Garcia. These two rapscallions and I put on a small performance in Park Slope, Brooklyn, of some of our work. Wouldn’t you know? It went over really well! The fact that it was free didn’t hurt, but hey! We thought we had something. So we began brainstorming and came up with what would become Radio Room. I had dozens of ideas, of course, but something about Queens stuck out to me. It was adventurous, fun, and featured the kind of stylizations we were looking for. Radio Room was to be a loving homage to serials of the 40s and 50s, but with updated storytelling techniques. Romance, patter, a focus on thrills… Queens seemed to fit the bill, and when I pitched them the logline, they wanted to see more. Which required a whooooooole lotta work. Other extra stuff (locales, magic, etc.) that feature heavily into your property. That’s it! Don’t go nuts! You’ll overthink it. Your producers will change it. Your actors will finagle it. And you’ll have spent a lot of time hammering stuff into stone that could emerge organically! This was then workshopped outside of the group. I feel that this is an important step that not enough writers get: go to someone outside of your social circle for advice. They won’t have the same kind of connection to you, personally, that might temper their opinion. It might not be nice (in fact, it shouldn’t be). It might not be fun. It will show you what’s wrong before you get too far down the rabbit hole. Next came the recrafting of the property. This was done in a series of emails and in-person meetings, in which Tyrant, Adam, and I honed the episodes. From my work before, I knew what I was trying to say with the piece and what couldn’t be changed. At the same time, I was willing to allow the guys to shift the tone and characters so that they would find a spark that would inspire them. This was to be collaborative. I had to allow them to collaborate on this. Most of all, I had to shift the property into something that worked via audio. Don’t make the mistake in thinking that your great idea can transfer media without work. There’s a reason why most video games-turned-films are terrible, and why most films-turned-video games are also just as bad. Interactive media has a whole different rule set than traditional media. Ignore these at your risk! If you don’t understand the strengths and weaknesses of your chosen platform, you’re doomed to failure from the start. Auditory storytelling is the oldest form of art, and it is a mixture of both passive and active media. It is passive in that the audience listens to a linear story that is told to them. It is active because the audience must construct the world inside their minds and envision what is being told to them. That means you have to give the audience juuuuuuuuust enough to set the picture, but allow their mind to fill in the blanks. For Queens, I had to do more spelling out than I’d like to do. A lot of subtlety that I had planned on was made more overt (again). Belle and the newly-renamed Madeleine had to play much more grandiose, much more like cartoon characters: the audience had to understand everything from their vocal range, since facial expressions and body language don’t translate to the airwaves. At the same time, I had to pull back the villains even more. They couldn’t become too outlandish, or else the entire piece would seem like a send-up. The only problem was that I couldn’t quite wrap my head around it until I dove in, head-first. I’d written small bits for radio and audio comedy before and full television scripts, video games, and screenplays, but this was something entirely. My co-producers liked my pilot treatment but wanted to see it on the page. This was a gamble: I would have to produce 30-pages of material in the hopes that it would impress, but with the chance that it’d be terrible and I’d have to start all over again. So, how did it all turn out? That’s for tomorrow’s installment, the first in Radio Room’s series on Show Notes. Tune in then! As explained in my last post, I’m doing a series on my series, Radio Room, specifically how the idea for my piece, Queens of the Sapphire Sea, evolved over time to the point where it could go into production. My first attempt at pitching the idea hadn’t worked, but I liked the core of the piece and wouldn’t let it go. How long do you think I worked on Queens before it came up again? A year? Two? Try four… with another thrown in for writing and production. It wasn’t that I ever stopped working on it, but that it went into the background, along with my many, many other projects that will hopefully see the light of day but (as of this writing) have yet to emerge from the fertilizer that is my subconscious. And you know what fertilizer is made of, right? I knew that something was there, but considering that it was so niche, where could I pitch it? I worked on versions that were designed to be YA fiction, a video game, a feature-length screenplay, and more. Each wasn’t really working, however, because I was so focused on the pitch that I’d forgotten about the fundamentals. For any franchise, those fundamentals come down to message. I’m not talking about didactic Aesop stuff. I’m talking about the emotional impact that a piece has on someone who experiences it. What was Queens of the Sapphire Sea saying about our world? How were the characters going to express it? What was it really all about? For me, that boiled down to the basic nugget of an idea: a tough-talking older woman and her wide-eyed young niece. Experience vs. youth. Pessimism vs. optimism. The past vs. the future. The natural conflict in each episode (or issue or whatever) would emerge from how these characters viewed the world, as well as how they dealt with each other in the process. That meant that I had to explore who these characters were. If a whole series was going to be built on them, I had to know just who they were. I looked into Regina and Beatrice, and found them… not quite as deep as I needed them to be. It wasn’t shocking (I was just pitching an idea at first) but if there was going to be growth, both characters would need a place to grow from. That is, they needed to be flawed and retain some of those negative attributes throughout the course of their adventures. Regina couldn’t just be the lovable cigar-chomping grandmother-type. Beatrice wasn’t going to be the sweet, capable, spunky young upstart with something to prove. I tempered the personalities of both so that I could bring other aspects to the front, fleshing them out so that there would always be something new to explore. I’d argue that this is an issue that every creator deals with. Like in life, we all want our heroes to be perfect. Like in life, this is does a disservice to them and to us. The people we look up to–our parents, political idealists, sports figures–are not superior because they never make flaws but that they can grow from their flaws. From a narrative perspective, this makes them interesting. From a human perspective, it makes them believable. Because I wanted to focus on this believability, I dropped the high fantasy angle. It was a bit too off-the-wall anyway, and besides, there are real eras in history that were just as fun to explore (and didn’t require nearly as much world-building, to boot). I tamed the villains, roped in the overt themes of sexism, and focused on airplane combat rather than grandiose political intrigue, too. All of those elements are still there but they are much less on the nose. Like in life, the more insidious aspects of them are those elements which are unspoken, that people can pretend to ignore. When I say believability, I don’t mean hyper-realism. I still wanted this to keep the swashbuckling adventure that bent the rules from time to time. I chose to keep a certain rose-colored romance and humor because I simply didn’t have the time to do as much in-depth research into pre-WWII France as I would have liked. It also allowed for emotional exploration and a reflection of that conflict between “idealism vs. realism” that I was talking about earlier. Finally, I tapped into this via the framing device: having Beatrice reflect on her past by telling stories to her granddaughter, decades after her adventures in France. It allowed for a little fudging of the facts–is this real or just her memory of the event?–and gave a mirror for the older/younger dichotomy that was central to the story. The French Riviera is protected from high-flying brigands by the finest seaplane bounty hunters in the world: Belle Bernassi and her niece, Beatrice. The pair escaped the suffocating social mores of Paris to set up shop with the rest of the oddballs that roam from Genoa to Barcelona, but trouble is afoot. Suitors, mercenaries, the mafia, gun runners, and the rising tide of Fascism all threaten to rob the Bernassis and their comrades of the freedom and peace they’ve found in the air, but if there’s anybody who can stave off war, it’s the Queens of the Sappire Sea! There were still issues that needed to be ironed out. I wound up renaming Beatrice (her name was just too similar to Belle) and would touch up some of the history as I worked on the actual stories, but the touchstones are all there. Adventure, society vs. individualism, romance, a hint of outlandish humor, and a real world setting that reflects bits of our own without being a direct mirror. Plus, I managed to keep the sky pirates. Because who doesn’t like sky pirates? Did I manage to pull it off? Find out this week, as I continue this series and head towards April 15th and the release of episode one! Next up: construction of the series and scripts themselves!